Criminal Defense expert notes a huge bust in San Francisco involving the website alleged to have been a web distribution network for drugs. 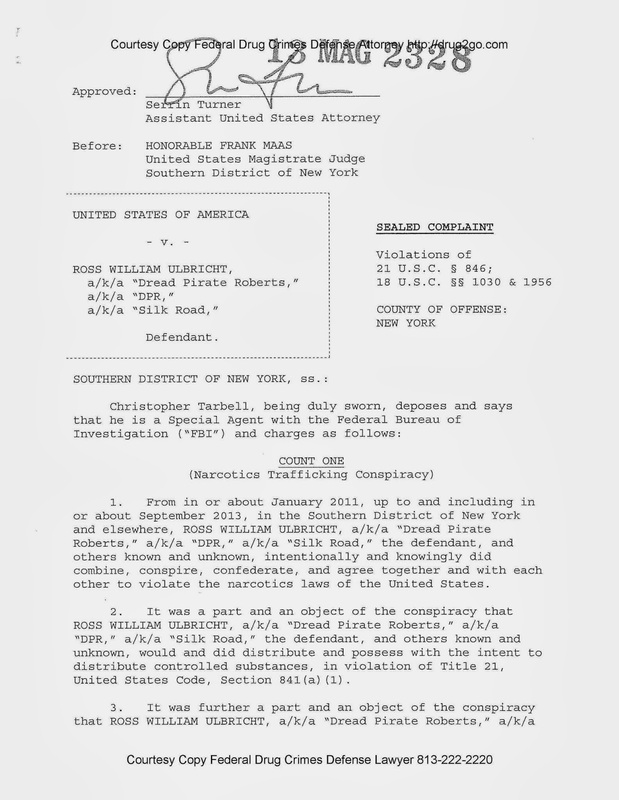 We have posted the entire sealed Silk Road Complaint here. The criminal report that I have just posted reads like a spy novel. Short version: go to website and buy drugs, hackers, and hitmen! 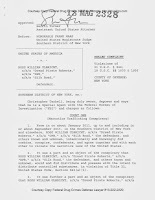 The 39 page complaint outlines the architecture of the website, the payment methods used, the techniques for packaging, and the delivery methods to customers. I would expect that customers of the site and the alleged co-conspirators are not in the clear. "The Silk Road website provides a sales platform that allows vendors and buyers who are users of the site to conduct transactions online. The basic user interface resembles those of well-known online marketplaces." online forums and other websites on the ordinary Internet." "As of September 23, 2013, there were nearly 13,000 listings for controlled substances on the website, listed under the categories "Cannabis," "Dissociatives," "Ecstasy," "Intoxicants," "Opioids," "Precursors," "Prescription," "Psychedelics," and "Stimulants," among others. Clicking on the link for a particular listing brings up a picture and description of the drugs being offered for sale, such as "HIGH QUALITY #4 HEROIN ALL ROCK" or "5gr UNCUT Crystal Cocaine! !" "
"The narcotics sold on the site tend to be sold in individual-use quantities, although some vendors sell in bulk. The offerings for sale on the site at any single time amount to multi-kilogram quantities of heroin, cocaine, and methamphetamine, as well as distribution quantities of other controlled substances, such as LSD." "There were 159 listings on the site under the category "Services." Most concerned computer-hacking services: for example, one listing was by a vendor offering to hack into Facebook, Twitter, and other social networking accounts of the customer's choosing, so that "You can Read, Write, Upload, Delete, View All Personal Info"; another listing offered tutorials on "22 different methodsN for hacking ATM machines. Other listings offered services that were likewise criminal in nature. For example, one listing was for a "HUGE Blackmarket Contact List," described as a list of "connects" for "services" such as "Anonymous Bank Accounts," "Counterfeit Bills (CAD/GBP/EUR/USD)," "Firearms + Ammunition," "Stolen Info (CC [credit card] , Paypal)," and "Hitmen (lo+ countries) ." 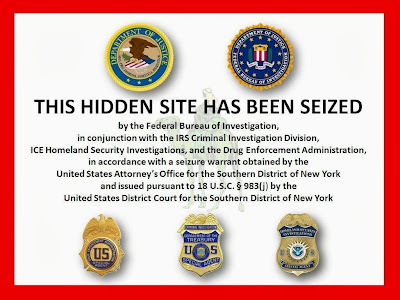 "Since November of 2011, law enforcement agents participating in this investigation have made over 100 individual undercover purchases of controlled substances from Silk Road vendors, including purchases made from, and substances shipped to, the Southern District of New York. The substances purchased in these undercover transactions have been various Schedule I and I1 drugs, including ecstasy, cocaine, heroin, LSD, and others." "Bitcoins are an anonymous, decentralized form of electronic currency, existing entirely on the Internet and not in any physical form. The currency is not issued by any government, bank, or company, but rather is generated and controlled automatically through computer software operating on a "peer-to-peer" network. Bitcoin transactions are processed collectively by the computers composing the network." "To acquire Bitcoins in the first instance, a user typically must purchase them from a Bitcoin "exchanger." In return for a commission, Bitcoin exchangers accept payments of currency in some conventional form (cash, wire transfer, etc.) and exchange the money for a corresponding number of Bitcoins, based on a fluctuating exchange rate. Exchangers also accept payments of Bitcoin and exchange the Bitcoins back for conventional currency, again, charging a commission for the service." "Once a user acquires Bitcoins from an exchanger, the Bitcoins are kept in a 'wallet" associated with a Bitcoin "address," designated by a complex string of letters and numbers. (The "address" is analogous to the account number for a bank account, while the "wallet" is analogous to a bank safe where the money in the account is physically stored.) Once a Bitcoin user funds his wallet, the user can then use Bitcoins in the wallet to conduct financial transactions, by transferring Bitcoins from his Bitcoin address to the Bitcoin address of another user, over the Internet."